BRIGHT, DEDICATED STAFF TRAINED TO INTERNATIONAL STANDARDS OF SKILL AND SERVICE. At Evergreen Dental Care, we understand what it takes to make our patients feel comfortable and satisfied with their visit to the dentist. All of our enthusiastic, tech-savvy dentists and dental assistants are up to date with the latest advancements in dental technique. We also take care to prioritize excellent patient service and hospitality to ensure that your visit is as enjoyable as possible. HEADED BY MYANMAR'S FINEST PRACTITIONERS. INSPIRED BY DECADES OF EXPERIENCE AROUND THE WORLD. was born and raised in Yangon, Myanmar and received his Bachelor's degree in Dental Surgery from the Institute of Dental Medicine, Yangon in 1971. Dr. Tun went on to study and receive a degree in Maxillofacial Surgery at the Victoria University of Manchester, United Kingdom on 1992. He then relocated to California and became a licensed Doctor of Dental Surgery (DDS) in 2003. He has been recognized as a fellow of the International Association of Oral and Maxillofacial Surgeons, and a member of the American Academy of Facial Esthetics and the American Academy of Cosmetic Surgery. In 2014, Dr. Tun was named Dentistry Teacher of the Year at the University of Southern California, Ostrow School of Dentistry, and has over 15 years of experience teaching dentistry in the United States. Altogether Dr. Tun has an impressive 40 years of global experience in patient care and continues to share his passion with his hometown at Evergreen Dental Care Myanmar. was born and raised in Yangon, Myanmar and graduated from the Institute of Dental Medicine, Yangon in 1982 with a Bachelor's degree in Dental Surgery. Dr. Hla relocated to San Francisco, California in 1989 and obtained his degree as a Doctor of Dental Surgery (DDS) in 1991, opening the first Evergreen Dental Care in San Leandro, California in 1995. Following the success of his first private practice, he opened a second Evergreen Dental Care clinic in Pleasanton, California in 2006 and practiced at both locations. 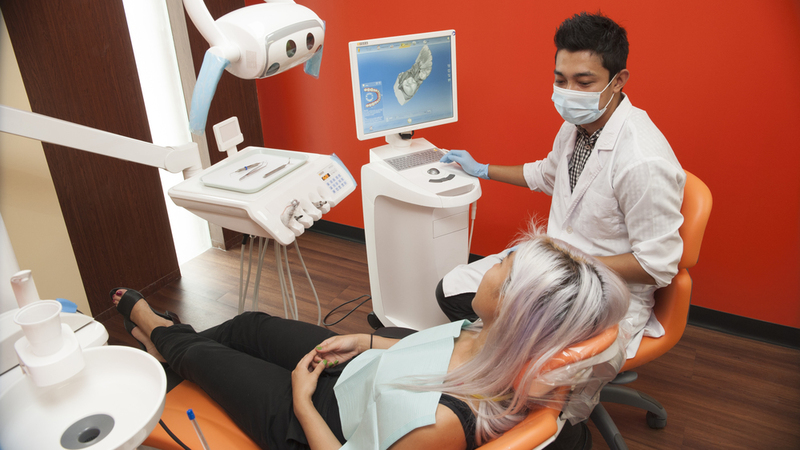 Evergreen Dental Care Myanmar is the third incarnation of Dr. Hla's ideal clinical model--a welcoming dental facility with top-notch patient care and technology you can trust. As a member of the American Dental Association for twelve consecutive years (since 2004), Dr. Hla has built a reputation for himself through his excellent dental work as well as his particular concern with honest and ethical treatment of patients. His 25 years of experience are not only in treating patients, but also in running a fully functioning dental clinic that delivers a highly satisfying patient experience and keeps up with international standards of hygiene and dental technology.